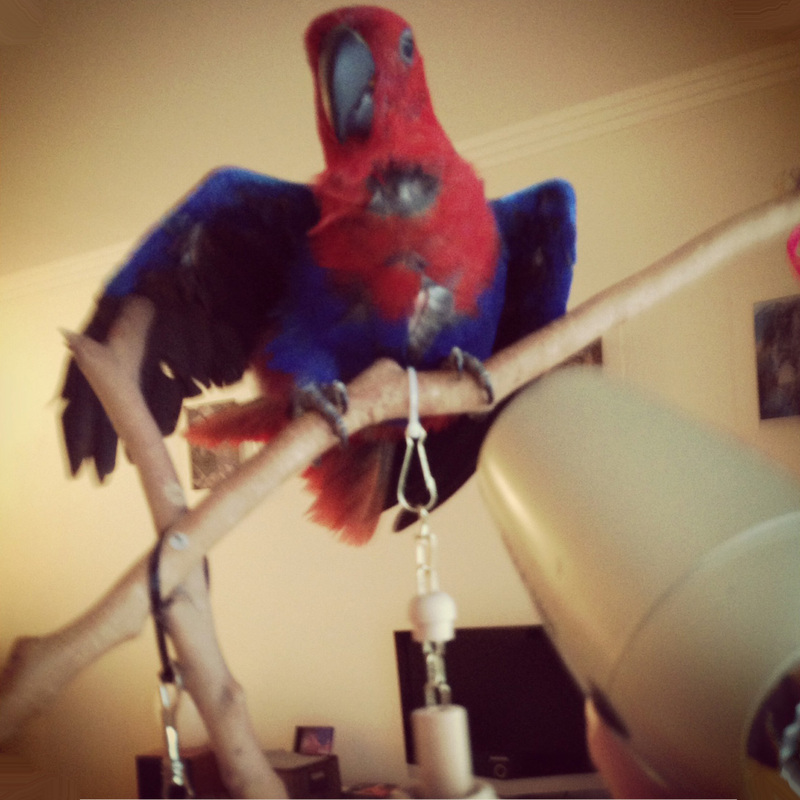 Maite has a baby parrot which can get a little over-excited at times. She calms him down by blowing him with a warm hair dryer. He loves it and it makes Maite happy seeing her parrot lushing it up in the warm breeze.